How Joyce travels for two weeks and still gets questions out on Wednesday, I'll never understand, but so admire her effort and determination to give us something to think about for the Hodgepodge. So, click HERE to either answer the questions yourself, or read how others have answered them. That I got old! That wasn't supposed to happen this early. Seriously, I don't think of myself as old, but I am experiencing changes that have come as a result of turning 70 that I hadn't anticipated. But, in general, my life is better than I could have imagined. Sweet potato casserole hands down. Copeland's Restaurant has the 2nd best; it should be on the dessert list. Mine would be #1! Louisiana and especially New Orleans are very ripe subjects for both books and movies, many of which I would not necessarily recommended. This link will give a whole list of Louisiana True Crime Bibliographies, if you like that kind of reading. If you prefer light, wholesome, sweet love stories, then "The Cane River" series by Mary Jane Hathaway might be for you. They all take place in the beautiful, historic town of Natchitoches, only an hour down the road from my house. "Dead Man Walking" (1993), written by Sister Helen Prejean, a Roman Catholic nun may be one of the most famous. It is a non-fiction account that takes place near New Orleans, based on her work as a spiritual adviser to two convicted murderers on Death Row at the Louisiana State Penitentiary (Angola), and the story behind the movie, "Dead Man Walking." 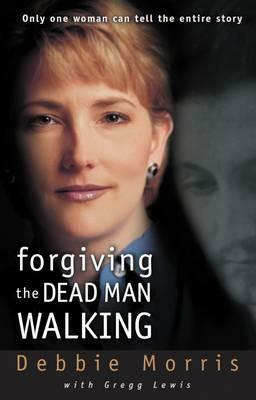 However, if you want the true account of the story behind this book, then you must read, "Forgiving the Dead Man Walking" by Debbie Morris. She was a friend of my Daughter-in-Law while living in Mandeville, LA, who at age 16, actually lived the story. I highly recommend reading it. It can be found at Amazon HERE. There is also an interesting article on her and the book in "The Christian Woman". Yes, I have started but its a very small start. I don't really buy a lot of gifts but instead give money to the grandchildren. But, I do try to give something to the adult children. As we leave mid December to spend Christmas in Indiana, organization is required mostly for the process of leaving and being gone from home that long. It's really not a big deal any longer; it all gets done. We love traveling in Tennessee and could spend days just riding through the GSM National Park. We have seen seven (7) from the list. One thing we haven't seen is The Parthenon in Nashville. I think this would be interesting since we actually saw the real Parthenon in Athens many years ago during our skinny gangster days. We leave this morning for a well anticipated trip to Northern Indiana where we will spend time with our son and his family. On Friday night we will go across town to South Bend to watch our grandson and his Western Michigan University (WMU) Rugby team take on the Irish of Notre Dame. By the way, his team beat Northern Illinois 143 - 0 last weekend. Geaux Broncos! 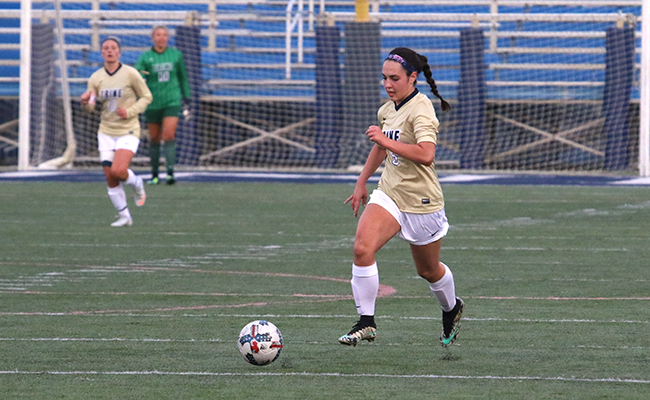 Then we will be traveling up into Michigan to watch our granddaughter who plays soccer for Trine University in Indiana, play their final two games on Saturday and Monday. She is playing some super soccer and pity the girl who gets in her way. But we are mostly looking forward to just being there with the family. They are good folks and a joy to be with. So, there will not be any blogging until I get back. Then, hold on to your chair because there will be lots to tell you. 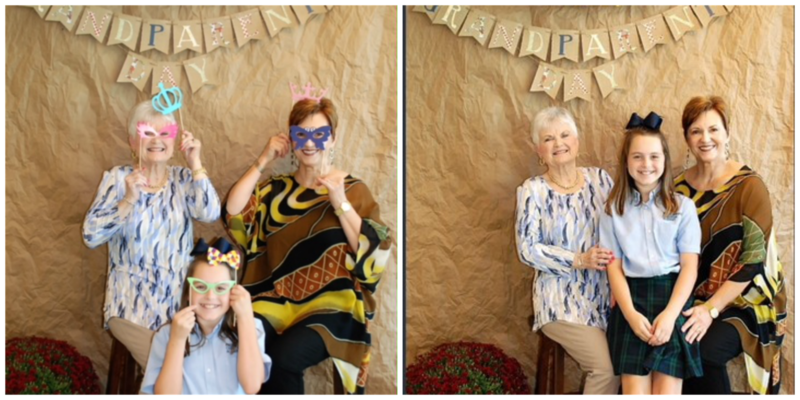 This past Friday was our sixth Grandparent's Day with our youngest grandchild, Ava Grace. She is in the fifth grade, so we started attending this special day with her at Prestonwood Christian Academy when she was in Kindergarten. They begin the day with a time of worship, always started with four of the Kindergarten children leading in the pledges to the American and Christian flags and the Bible, then one leads the huge gathering in prayer. This actually is my favorite part, because it amazes me at the poise of these precious children and the sweet, honest prayer of a 5 year old. Then the entire Kindergarten sings the song about "This is grandma's glasses and grandpa's hat...", which always gets a lot of smiles and claps from all the grandmas and grandpas. The time in the sanctuary is a worship service which I so appreciate being part of. We then go to the classrooms to meet the teachers and see where our girl sits for each of her classes. She changes classrooms and teachers for the first time this year, so that was different. This year, they had the fifth and sixth graders meet in an assembly room for refreshments which was also different. But made sense. We had fun letting Ava Grace select the props for our memory pictures. Another new thing. It is so hard to believe our littlest girl is growing up so fast. Each of her teachers spoke so highly of her and assured us they love having her in their class. No surprise to us! The next morning, we were able to attend her volleyball game which consists of fellow fifth grade buddies who have been playing together for three years. 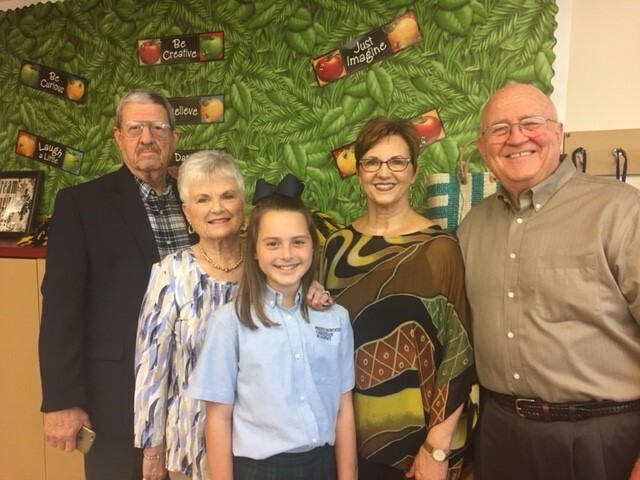 We are so grateful that Ava Grace is able to attend such an amazing Christian school where she is getting not only a great education, but where she is learning spiritual truths and making friendships that will last a lifetime. Joyce gave us a heads up that there will be no Hodgepodge next week. We all need a fall break at some point. So, I will see you back here on the 25th. In the meantime, join the rest of the Hodgepodgers on Joyce's Blog to see their answers. I'm a pretty good 7 or 8. In the summer when we went to Mackinaw Island. I usually do MapQuest on the computer before we leave for a lengthy, first-time trip, then print out certain enlarged screenshots of the map. We also use our Garmin and iPhone. Up North! Because we have decided it's time to go see our "up north" family. Of course only six weeks later we'll turn around and go back up north for Christmas. It's nice to be able to do just-because things sometimes. 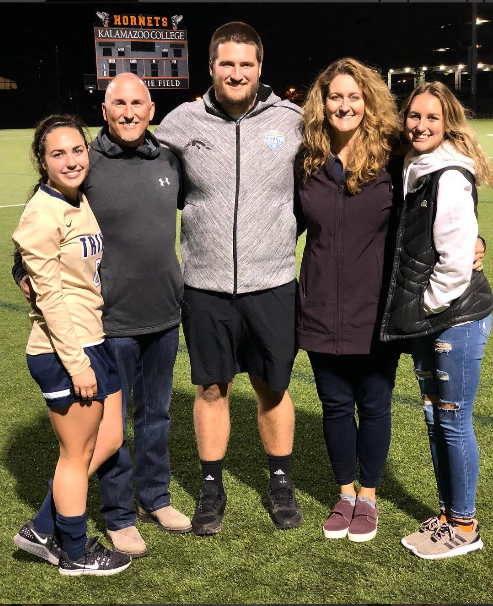 By the way, our up north collegiate soccer player got a pretty bad concussion when a very hard kicked soccer ball hit her in the face a couple weeks ago. She is still having some problems, but is improving. Scary! Most of my days involve very little talking. My listening is mostly to music rather than conversation and no day-time TV. As this will post on Wednesday and I'm writing on Tuesday, I will project and say that my day will again be spent mostly listening. I had Pilates at 5:30 AM where I listened and will later have handbell choir, which requires very little talking and a lot of listening. One word? So far, its been"Peaceful!" It would probably be time because I have the liberty of choosing what I want to do with it. Some days are more productive than others. I don't know that I want to change it. I feel sure I also waste opportunities to do things that would benefit others as well as myself. No, we did not. The only road trips we took were to see family who lived on extreme opposite ends of our home state. Mother would always pack food for eating and if we needed a bathroom stop, it was along the highway in the bushes and trees. I remember as a small child riding on a pillow in the middle of the front seat between mother and daddy and thinking what a big girl I was. 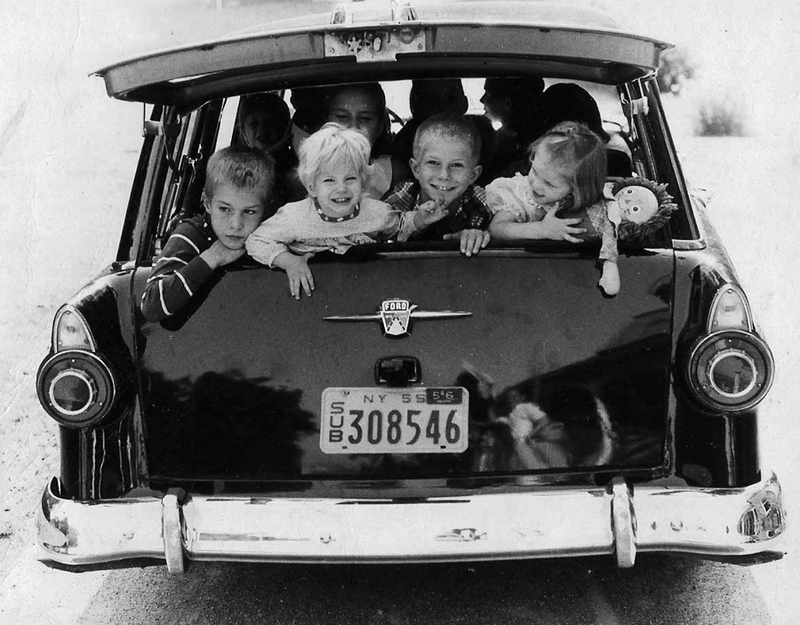 There were no car seat restraints or laws in those days. Watermelons in the middle of an herb garden. We can never get enough watermelons in the summer and I love growing and picking my own herbs. This weekend we will be going to our youngest grandchild's Grandparent's Day. Needless to say, she is the only grandchild young enough to still be having this. 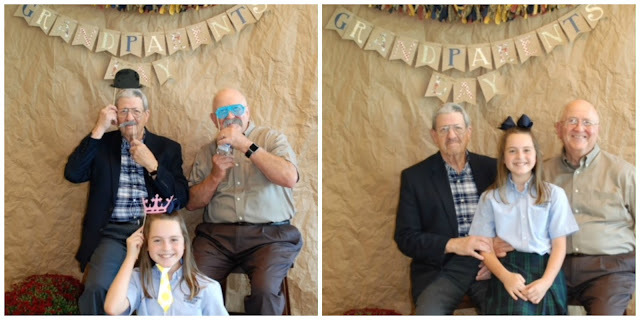 Actually, her school, Prestonwood Christian Academy in Plano, Tx, makes a really big deal of Grandparent's Day. We always start the morning with a joint worship service where there will be at least a couple thousand in attendance. Then we visit the classroom. She is now in the 5th grade which they consider Middle School. I would rather not think about that. We have gone every year, but for some reason I could only find pictures of the last three. We enjoy sharing this day with our Ava Grace and her other grandparents, Charles and Sandra. It will be a fun weekend and I'll tell you about it another time. Do You Want the Surprise? Feeling the need to go deeper in my time of meditation and study, I came across a book that has been in my basket of books to read for quite some time. I think perhaps Hubby may have bought it when he was teaching lessons on Psalms at some point. Regardless, for some reason, it held an appeal to me this morning. I use the phrase “for some reason” loosely, because I admit I do not understand the workings of the Holy Spirit - how He leads, how He directs, how He uses thoughts, impressions, inclinations. I will never understand how He sets things in motion days, months, years, and even ages ahead that will touch our heart, or meet a particular need at a specific day or moment when we are least expecting or perhaps are crying out for a touch from some deep longing otherwise gone unmet. I do not understand but have personally experienced this miracle so many times. Today, when I picked up this book and took it outside to begin my Saturday morning with something new, little did I expect to receive a light, or enlightenment that so aptly addresses circumstances that have reeled our nation and affected so many in our country this week. When have we needed a Word from God more or a glimmer into man’s nature that cries out for a God who cares. A God who understands. A God who is in control in spite of everything that wants us to believe otherwise. In explaining how he approached his study and approach to his book, the writer gave us a look into the realities of the human life as he sees it reflected through the Psalms. He uses three themes in organizing his study - poems of orientation, poems of disorientation, and poems of new orientation. Human life - my life and yours can roughly be grouped this way, can’t they. We may spend a lengthy period of time in either one or move from one to the other. Human life consists of what the writer refers to as “satisfied seasons of well being” where we see our lives as blessed, things going smoothly, nothing major challenging us. This is the period of “orientation” when we experience joy, delight, goodness, there’s a sense of coherence in our lives. We acknowledge our God, and our dependence on Him and rely on the consistency of His creation and governance in not only our lives but the world around us. Likewise there are psalms of orientation that reflect this sense of well-being. Human life also consists of periods of disorientation - “in anguished seasons of hurt, alienation, suffering, and death.” We have all been there haven’t we, when rage consumes us. When we are so full of resentment, self-pity, and hatred. When we wonder how we will make another day or take another breath. When we are weighted down with disappointment and anger. When we don’t see anything good and wonder, “Oh God, where are you?” The Book of Psalms also has these periods of disorientation, poems and speech that match our feelings of ragged pain and our own disorientation. They are called the lament passages. Isn’t this what so many are experiencing right now? Not understanding what is going on in their lives and in the world around them. We as Christians are all too familiar with this sense of lostness, confusion, and wanting to see God at work. To see His Glory manifested instead of what we may perceive as His anger and wrath. What must it be like for the non-believer. Then there are those times that human life consists of “turns of surprise” when we are overwhelmed with the new things of God, when joy finally breaks through the despair. Where there had only been darkness, we now see light; our sense of hopelessness has been cracked enough that there is a glimmer of something brighter, something better. There is a reason to have hope again, to believe, to trust. These are the passages in Psalms the writer refers to as “psalms of new orientation “. It is a newness. A fresh infusion that makes things that were once impossible seem possible again. These passages in Psalms affirm there is a sovereign God who puts humankind in a new situation. Isn’t it true that this transformation period from darkness to light is never obvious, easy or natural. It is always in pain that surprise comes and it is often when we look back are we able to see that it happened. We humans move from one of these periods - from one circumstance to another, changing and being changed, finding ourselves surprised by a new circumstance we had not expected. Yet, we are so often resistant to this new place, clinging desperately to the old circumstance. It is in this new orientation that we experience inexplicable joy, delight, amazement, wonder, and gratitude and recognize that it has to have originated from a Holy God. The world so desperately needs this orientation and it can only be found when we reach the end of ourselves. But, our culture isn't interested in moving from the first orientation. We like continuity and success and to avoid pain, hurt and loss at all cost. At the same time, we resist genuine newness and real surprise. Surprise is as unwelcome as loss, and our culture is set up to prevent the experience of both. When was the last time you heard a sermon from the lament psalms. Why don't our churches teach these truths and thereby give us spiritual truths that we can use in recognizing, experiencing, and knowing that disorientation is reality. Our world is hurting. It is frightened. It is disorientated and desperately needs a surprise - a new orientation. When we fail to allow a sovereign God the right to disturb our status quo and take us into disorientation, then we deny Him the right to give us the surprise. The new orientation that brings with it amazement, wonder, awe and most of all thanksgiving. We must show the world that Jesus Christ and His resurrection are the "surprise." And it is only through Him that we will find the abundant life. Fall is coming, I do have faith. In fact, I think we are to have a slight cool front next week. That simply means temps in the mid eighties instead of the high eighties. I am so ready! I did put a fall wreath on the front door and an arrangement on the dining table. We will be hosting our Sunday School class for a hamburger get-together later this month, so am waiting until closer to time to do much outside decorating. 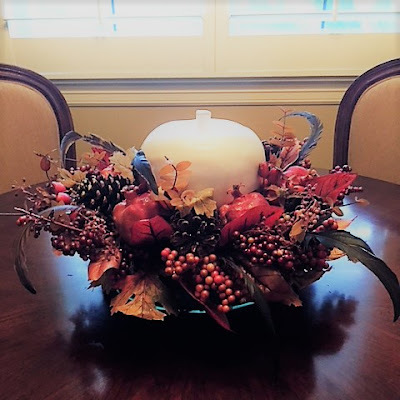 Joyce gave us an interesting variety of questions on the Hodgepodge today, so I hope you will enjoy reading my answers and will join the others to see how they answered. 1. Have you ever spent time on a farm? Tell us a little bit about it. While attending college, I lived on a dairy farm for about a year. I was not involved in the day-to-day goings on at all, but I do remember the sounds and the smells. I also recall that their day began before I knew it was a new day. There is one specific memory from that time, and it was the cream that would settle on top of the fresh milk after sitting in the frig for a day or two. I would secretly put some in my milk and on my cereal. It was so rich and delicious. Been on a hayride? Oh yes. Rural La. Saturday night entertainment and chaperoned make-out time during the 50's. That I am a confident, happy adult; have amazing kids who have amazing kids; stayed married to the same wonderful, very patient man; had a successful career; stayed out of jail. I really don't have anything random in my purse. I keep only essentials there because I don't like purses. Two of our grands are actively involved in College sports. Jackson, our only grandson and a senior at Western Michigan University used his four year eligibility playing on the record breaking football team there. 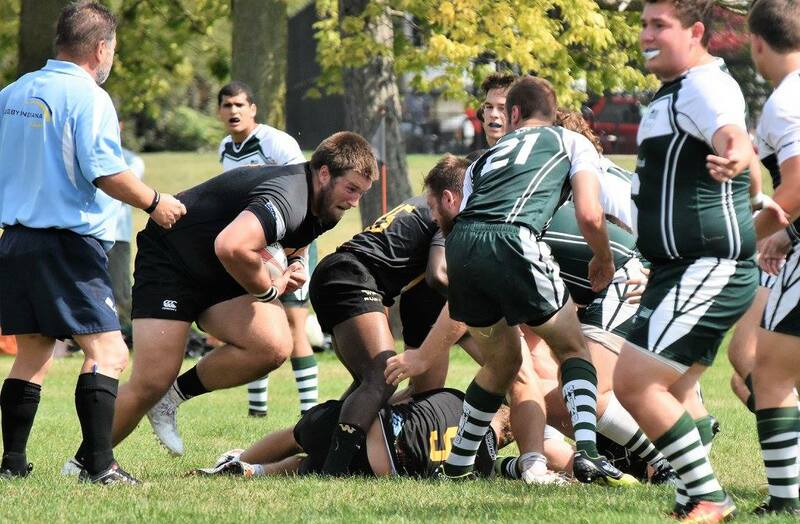 Now, in his fifth and final year, he has returned to his favorite sport, Rugby. It is such a brutal sport, but he loves it. 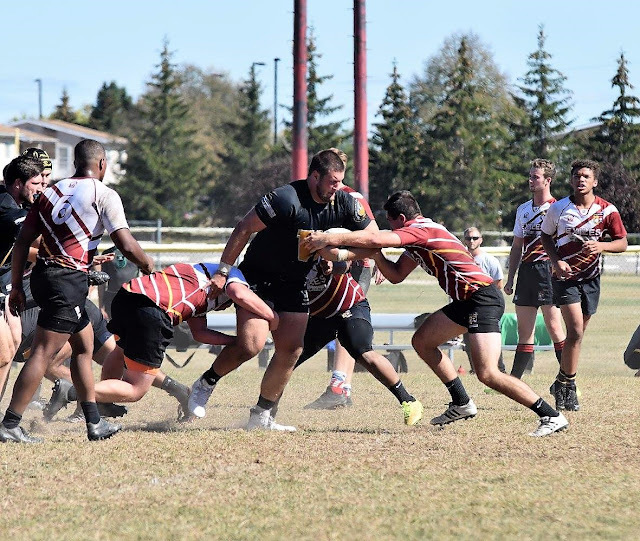 They beat their chief rival 91-5 last week and he made two tries (touchdowns). His younger sister is a Freshman and plays soccer at Trine University, in Indiana. She has started and finished every game so far. She plays defense and is a force to be reckoned with on the field, even though she is the smallest on the team. Mom and Dad say she is playing at a level they've never seen her play before. I will let these pictures speak for themselves as to how seriously they both take their sport. I have to laugh at this picture because I wonder if those little guys know he manhandled some of the biggest defensive players in the MAC conference last year. This facial expression says it all! I can imagine #21 thinking "Oh heaven's this bull is about to crush my ribs." And the guy on right shouting, "But Coach, I told him nicely to stop and he keeps coming!" or "TIME OUT! I need to change my pants!" Savannah was featured on the cover of last weeks game. 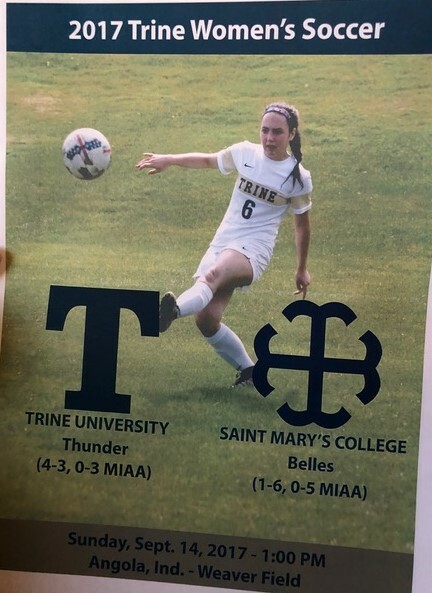 Trine isn't having a winning season so far, but it's not because our girl isn't doing her best. And guess who is going north in a few weeks to see her play in her final game and watch WMU in the Rugby play-offs? That would be us!!! This is the parish in Louisiana where my father was from and where I spent some of my first four years. One of the features of the blog, is posting newspaper articles from the late 1800's and early 1900's. Now, this was a very small town newspaper and every thing from breaking a good dish, to a new calf being born, to someone being shot on the street makes the paper. I even found an article from 1943 where my father conducted the funeral of a young woman killed in an automobile accident. I recently read this write-up of a wedding and found it so interesting and southern that I had to share. "Last Wednesday morning a large company of friends assembled at the Trimble residence to witness the marriage of Miss Anna Laura Trimble to Mr. William Evans Dean. At the appointed hour the inspiring strains of Meudelssohn’s wedding march, pealed forth from the skillful touch of Miss Naunie Dean, of Portland Arkansas, sister of the groom and the bridal party appeared. Little Gladys Baughman and Pearl Covington, in dainty gowns of white organdie over green, with green sashes, led the way carrying white satin ribbons which formed an aisle across the double parlors. Following these fairy-like leaders came Rev. H. B. Thomason, the officiating minister. Then came the groom, Mr. William Evans Dean, attended by Mr. J. W. Pugh, of Portland, Arkansas. 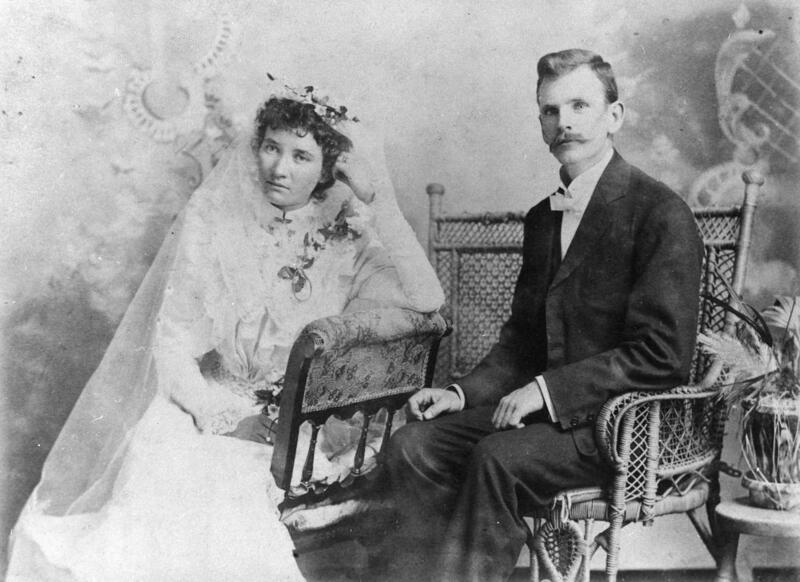 Next came the attendants, Mr. W. L. Timble of Hillsboro, Texas, brother of the bride, and Miss Margaret Dean of Portland, Arkansas, sister of the groom. 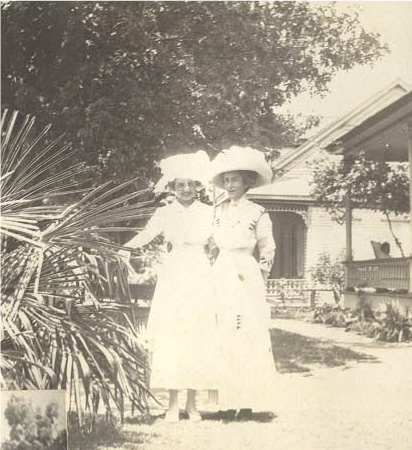 Lastly appeared the bride, Miss Anna Laura Trimble, accompanied by her sister, Miss Belle Trimble, as maid of honor. The bridal party took their places in the bay window, beneath a beautiful floral decoration of white roses and ivy, the bride and groom standing in the center where two wreaths of white roses entwined together above their heads, suggesting purity and innocence and infinity. As the strains of music died away, Mr. Thomason pronounced, in an impressive manner, the beautiful words of the Episcopal marriage ceremony and the fond lovers plighted their broth “for better, for worse.” After the benediction the happy couple led the way to the dining room, followed by the guests, and there partook of the wedding breakfast. 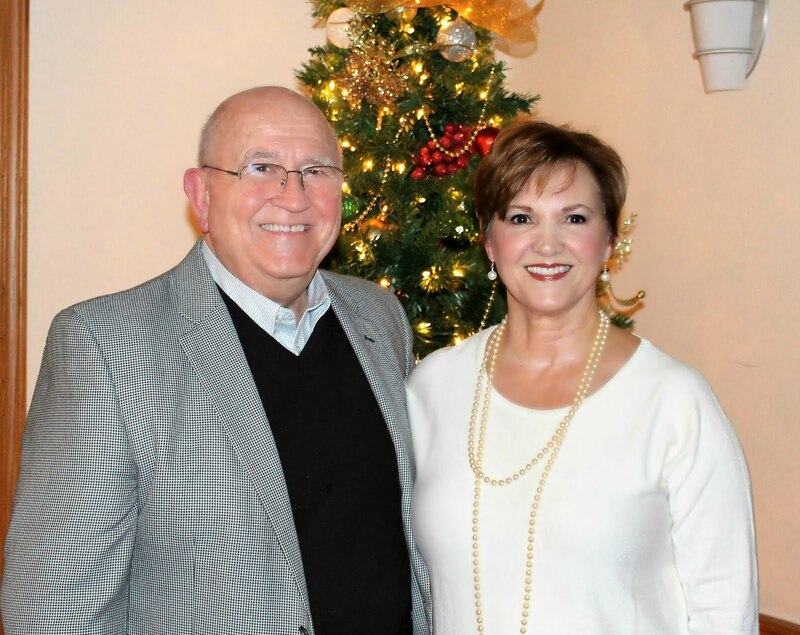 The bride, Miss Anna Trimble, is a daughter of the late Judge J. E. Trimble and Belle Munger Trimble, and has been, since her girlhood, one of the most popular members of the Farmerville’s social circle. As she stood at the hymeneal alter, robed in the purest white organdie over silk, enveloped in the graceful folds of the wedding veil, she looked, in truth, the type of purity and sweetness and loveliness her family and associates have always known her. 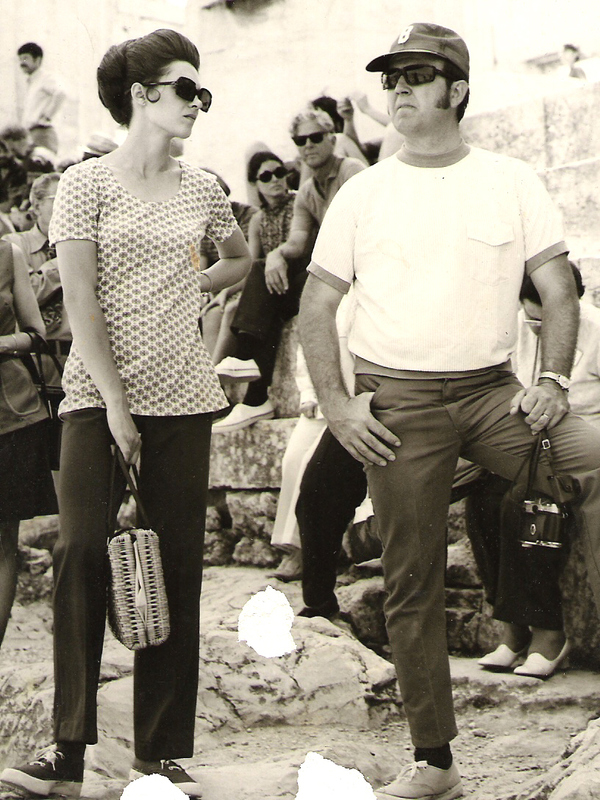 Fortunate, indeed, the man who wrestles with life’s problems with such a woman at his side. The groom, Mr. W. E. Dean, is a son of the well known merchant, Mr. J. D. Dean, and Margaret Kittrell Dean of Portland, Arkansas. He himself, though a young man is already known in commercial circles, and his fine business qualifications, affable manner, and sterling qualities of integrity, industry and manliness bespeak for him a most successful career in the business and social world. 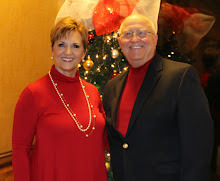 Mr. and Mrs. Dean left Wednesday at noon for St. Louis, where they will spend their honeymoon before returning to their future home in Portland, Arkansas. They were the recipients of many beautiful gifts, and the wish of their hosts of friends is that love and joy and contentment, and health and peace and prosperity, may be their portion in life." They just don't do wedding write-ups like this anymore, do they? 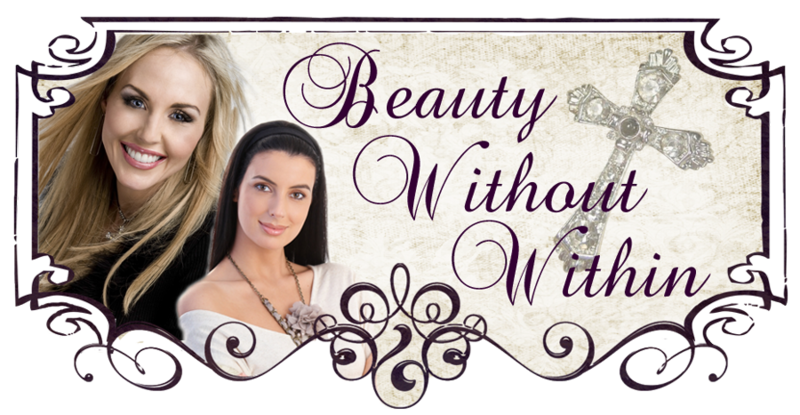 Sadly, the beautiful marriage ceremony did not guarantee that it would last and at some point, Anna and William were divorced. Pictured above, on the right, is a picture of Mrs. Anna Dean, in approximately 1930. She died in 1945 and William in 1954.